Vinska klet Pri Starčih - Tavčar, Križ. is located in Križ, an ancient village with typical karst architecture. It lies on the sunny slope of a small hill, surrounded by vineyards and fields along the Sežana-Nova Gorica road. Not by chance, there is a lonely beautiful stone church dating back to 1450 by the road. ​The spot is said to be a high-energy point, beneficial for health and well-being. Next to the church, an idyllic field path marked with the Karst Wine Route sign VINSKA KLET PRI STARČIH – TAVČAR leads the way to our farm. The oldest records about our family living on this spot date back 400 years and the surname Starc (or Starec) has remained ever since, giving the homestead its present name Pri Starčih (At Starcs). 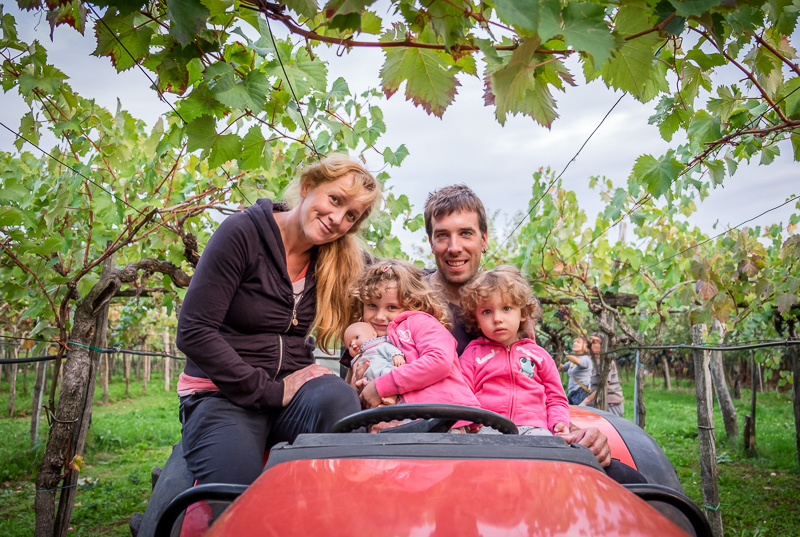 As Irma and Ciril Starc did not have a son, their daughter Milena took over the farm. She is married to Bogdan Tavčar and the couple too, has two daughters. They decided to keep the family name after which the farm has been known for long years. Their daughter Katjuša, her husband Alen and their two daughters are eager to learn the ropes. 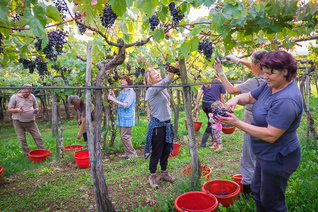 Viticultural tradition in our farm has been kept through the generations, from the very beginning and has always been the main source of income. We have renewed and increased vineyards, built a bigger wine cellar, storage room for modern grape processing and arranged a wine tasting room. 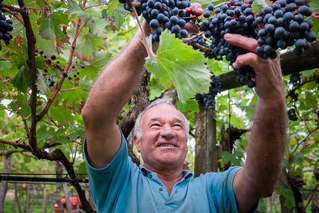 Today, on 24 hectares of land we cultivate five hectares of vineyards. ​Vineyards stretch around the estate, rounding off the beautiful panorama of the village. Each vineyard has its own peculiarities. Older vines grow on trellises that perfectly withstand all weather inconveniences, while younger ones are Guyot trained. Our latest vineyards were engineered by reducing the Karst barren land, hauling fertile soil from sinkholes and planting vines that nowadays give high quality wines. The largest vineyard Zgon stretches right before the village of Križ. 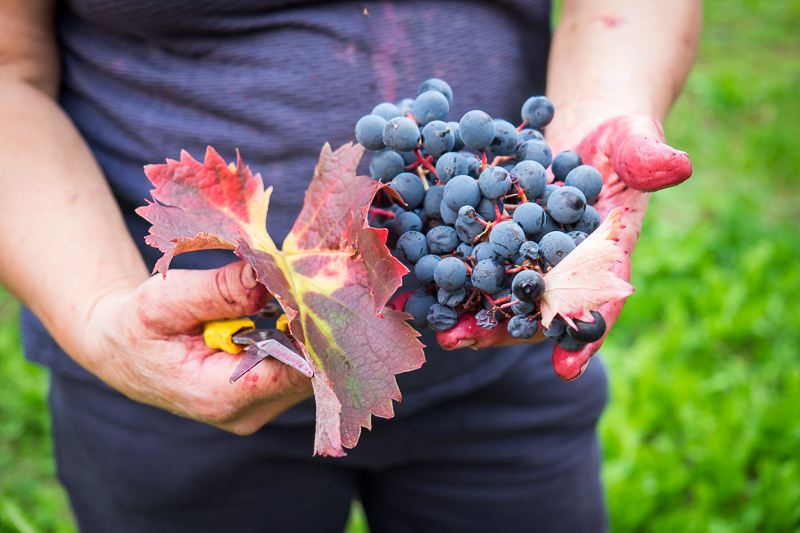 It is mainly planted mainly with Refosco vines, which give the wine called Teran. Other varieties are Cabernet Sauvignon, Merlot and Vitovska Grganja. On Baret, which is located closer to the house, the vines of Sauvignon Blanc, Riesling, Malvasia and the Pinot Noir are grown, all of which are combined in exquisite white variety baret. Other vineyards are even older with the respectable age of 50 years and located in the old fields. They mainly produce Teran and Vitovska Grganja. It takes a long time for a vineyard to grow and mature, and needless to say, it is the older vineyards that give the best wine. Grapes are grown in a nature-friendly way. The vines are not weighed down, which allows the grapes to ripen to its full maturity. 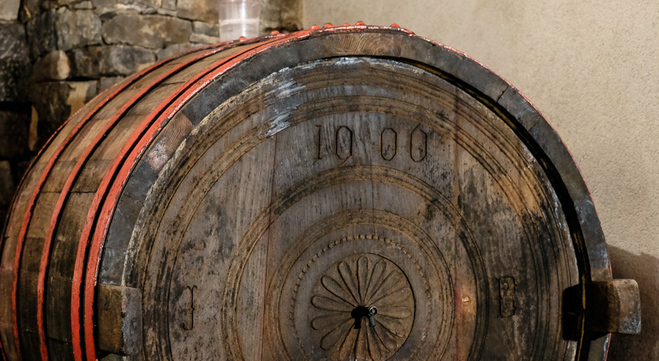 They are treated and gathered by hand and the wine is produced according to the traditional process of aging in oak barrels. Such grapes give our wine its main features. 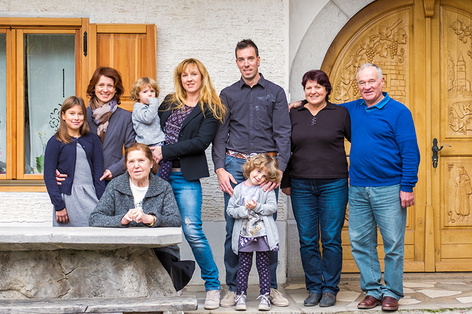 80% of our wine production is represented by Teran, a speciality among the Slovenian and world wines, and, of course, it only grows in our karst soils. From Teran we also make Teran champagne. According to the recipe of our grandmothers we have been cooking the delicious Teran liqueur for more than 30 years. The liqueur has so far received numerous gold medals. Our wines boast a number of gold awards as well. We are especially proud of the title 2016 Champion for SELECTED TERAN! Numerous awards mean a lot to us and give us a confirmation that we are on the right track, so we want to continue and upgrade our work, and preserve it for future generations. 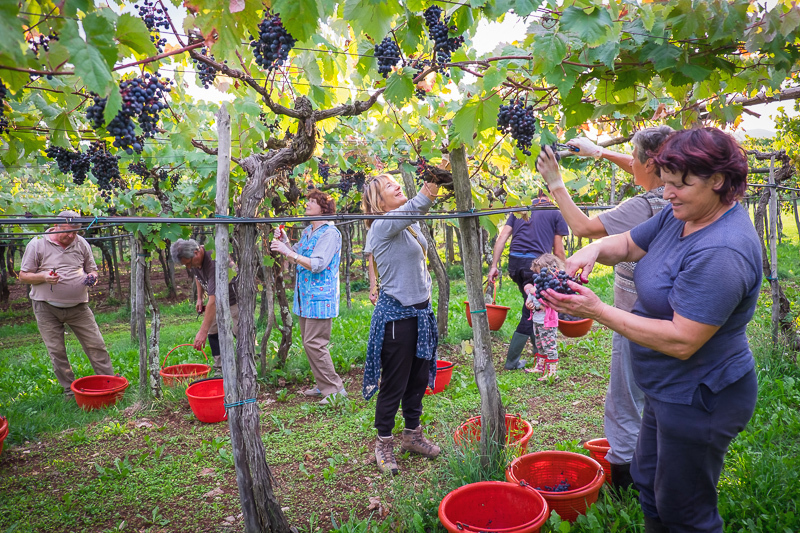 We are also members of the Association Consortium of Karst Teran Makers, which brings together the best producers of Teran in the Karst region. 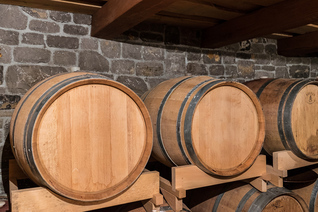 A bottle of choice Consortium Teran is always at hand in our wine cellar! We sell fresh OPEN WINE as well as matured BOTTLED WINE of various vintages in a classic or a gift box. We also offer excellent homemade liqueurs (walnut, cherry, lemon verbena, etc.) 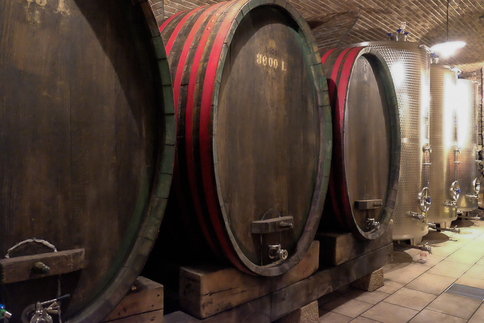 different types of herb brandy, grape brandy tropinovec (a variation of marc or pomace brandy), etc. 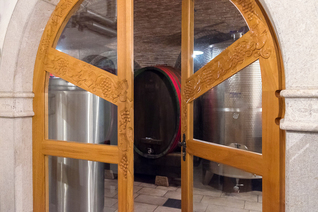 With us, you can see the vineyards and the wine cellar, taste different types of wine and karst delicacies. By prior arrangement we offer guided wine tasting for groups up to 60 people.